Paratüberküloz (Johne hastalığı), Mycobacterium avium subspecies paratuberculosis (Map) tarafından oluşturulan evcil ve yabani ruminantların bir hastalığıdır. Geniş bir konakçı dağılımına sahip olan ve uygun olmayan koşullarda hayatta kalmak için çeşitli stratejiler geliştirmiş olan etkenin nasıl canlı kalabildiği henüz tam olarak anlaşılamamıştır. Bu derlemede; Map enfeksiyonunda meydana gelen erken konakçı yanıtı,bu yanıtı engellemek için patojenin kullandığı stratejiler ve makrofajlarda nasıl kalıcı enfeksiyonun oluştuğu açıklandı. 1. Adams LB, Fukutomi Y, Krahenbuhl JL. 1993. Regulation of murine macrophage effector functions by lipoarabinomannan from mycobacterial strains with different degrees of virulence. Infect. Immun. 61: 4173-4181. 2. Arsenault RJ, Li Y, Bell K, Doig K, Potter A, Griebel PJ, Kusalik A, Napper S. 2012. Mycobacterium avium subsp. paratuberculosis inhibits interferon gamma induced signaling in bovine monocytes: insights into the cellular mechanisms of Johne’s disease. Infect. Immun. 80: 3039-3048. 3. Arsenault RJ, Maattanen P, Daigle J, Potter A, Griebel P, Napper S. 2014. From mouth to macrophage: mechanisms of innate immune subversion by Mycobacterium avium subsp. paratuberculosis. Vet. Res. 45: 54. 4. Ayele WY, Machackova M, Pavlik I. 2001. The transmission and impact of paratuberculosis infection in domestic and wild ruminants. Vet Med-Czech, 46: 205-224. 5. Bafica A, Scanga CA, Feng CG, Leifer C, Cheever A, Sher A 2005. TLR9 regulates Th1 responses and cooperates with TLR2 in mediating optimal resistance to Mycobacterium tuberculosis. J. Exp. Med. 202: 1715-1724. 6. Balcewicz-Sablinska KM, Keane J, Kornfeld H, Remold HG. 1998. Pathogenic Mycobacterium tuberculosis evades apoptosis of host macrophages by release of TNF-R2 resulting in inactivation of TNF-α. J. Immunol. 161: 2636-2641. 7. Bermudez LE, Petrofsky M, Sommer S, Barletta RG. 2010. Peyer's patch-deficient mice demonstrate that Mycobacterium avium subsp. paratuberculosis translocates across the mucosal barrier via both M cells and enterocytes but has inefficient dissemination. Infect. Immun. 78: 3570-3577. 8. Brumell JH, Scidmore MA. 2007. Manupulation of rab GTPase function by intracellular bacterial pathogens. Microbiol. Mol. Biol. Rev. 71: 636-652. 9. Butchar JP, Cremer TJ, Clay CD, Gavrilin MA, Wewers MD, Marsh CB, Schlesinger LS, Tridandapani S. 2008. Microarray analysis of human monocytes infected with Francisella tularensis identifies new targets of host response subversion. PLoS One. 3: e2924. 10. 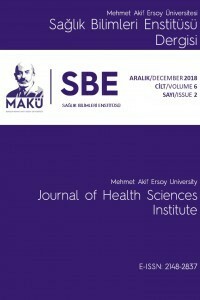 Çetinkaya B, Muz A, Ertaş B, Öngör H, Sezen Y, Gülcü B. 2000. Süt ineklerinde paratüberküloz prevalansının polimeraz zincir reaksiyonu (PZR) ile saptanması. Turk. J. Vet. Anim. Sci. 24: 371-379. 11. Esen N. 2005. Tüberkülozda mikobakteriyel persistans mekanizmaları. IV. Tüberküloz Sempozyumu Bildiri Kitabı, Malatya, s. 58-62. 12. Harris NB, Barletta RG. 2001. Mycobacterium avium subsp. paratuberculosis in Veterinary Medicine. Clin. Microbiol. Rev. 14: 489-512. 13. Hostetter J, Steadham E, Haynes J, Bailey T, Cheville N. 2003. Phagosomal maturation and intracellular survival of Mycobacterium avium subspecies paratuberculosis in J774 cells. Comp. Immunol. Microb. and Infect. Dis. 26: 269-283. 14. Jolly A, Lompardíab S, Hajosb SE, Mundo SL. 2016. Evidence of a pro-apoptotic effect of specific antibodies in a bovine macrophage model of infection with Mycobacterium avium subsp. paratuberculosis. Vet. Immunol. Immunopathol. 169: 47-53. 15. Kabara E, Coussens PM. 2012. Infection of primary bovine macrophages with Mycobacterium avium subspecies paratuberculosis suppresses host cell apoptosis. Front. Microbiol. 3: 215. 16. Karakousis PC, Bishai WR, Dorman SE. 2004. Mycobacterium tuberculosis cell envelope lipids and the host immune response. Cell Microbiol. 6: 105-116. 17. Kuehnel MP, Goethe R, Habermann A, Mueller E, Rohde M, Griffiths G, Valentin-Weigand P. 2001. Characterization of the intracellular survival of Mycobacterium avium ssp. paratuberculosis: phagosomal pH and fusogenicity in J774 macrophages compared with other mycobacteria. Cell Microbiol. 3: 551-566. 18. Lamont EA. 2012. Survival strategies of Mycobacterium avium subsp. paratuberculosis in a variety of microenvironments. PhD Thesis, The University of Minnesota, Minnesota, United States. 19. Lefrançois LH, Pujol C, Bodier CC, Teixeira-Gomez AP, Drobecq H, Rosso ML, Raze D, Dias AA, Hugot JP, Chacon O, Barletta RG, Locht C, Vidal Pessolani MC, Biet F. 2011. Characterization of the Mycobacterium avium subsp. paratuberculosis laminin-binding/histone-like protein (Lbp/Hlp) which reacts with sera from patients with Crohn’s disease. Microbes. Infect. 13: 585-594. 20. Maccarana M, Sakura Y, Tawada A, Yoshida K, Lindahl U. 1996. Domain structure of heparan sulfates from bovine organs. J. Biol. Chem. 271: 17804-17810. 21. Mallikarjunappa S. 2013. Cytokine gene expression in Holstein-Friesian and Jersey Calves infected with Mycobacterium avium subsp. paratuberculosis. Master Thesis, The University of Guelph, Ontario, Canada. 22. Menozzi FD, Rouse JH, Alavi M, Laude-Sharp M, Muller J, Bischoff R, Brennan MJ, Locht C. 1996. Identification of a heparin-binding hemagglutinin present in mycobacteria. J. Exp. Med. 184: 993-1001. 23. Nielsen SS. 2008. Transtions in diagnostic tests used for detection of Mycobacterium avium subsp. paratuberculosis infections in cattle. Vet. Microbiol. 132: 274-282. 24. Ott SL, Well SJ, Wagner BA. 1999. Herd-level economic losses associated with Johne's disease on US dairy operations. Prev. Vet. Med. 40: 179-192. 25. Pieters J. 2001. Entry and survival of pathogenic mycobacteria in macrophages. Microbes. Infect. 3: 249-255. 26. Rowe MT, Grant IR. 2006. Mycobacterium avium ssp. paratuberculosis and its potential survival tactics. Lett. Appl. Microbiol. 42: 305-311. 27. Russell DG, Mwandumba HC, Rhoades EE. 2002. Mycobacterium and the coat of many lipids. J. Cell. Biol. 158: 421-426. 28. Secott TE, Lin TL, Wu CC. 2001. Fibronectin attachment protein homologue mediates fibronectin binding by Mycobacterium avium subsp. paratuberculosis. Infect. Immun. 69: 2075-2082. 29. Secott TE, Lin TL, Wu CC. 2002. Fibronectin attachment protein is necessary for efficient attachment and invasion of epithelial cells by Mycobacterium avium subsp. paratuberculosis. Infect. Immun. 70: 2670-2675. 30. Secott TE, Lin TL, Wu CC. 2004. Mycobacterium avium subsp. paratuberculosis fibronectin attachment protein facilitates M-cell targeting and invasion through a fibronectin bridge with host integrins. Infect. Immun. 72: 3724-3732. 31. Singh SV, Singh AV, Kumar A, Singh PK, Deb R, Verma AK, Kumar A, Tiwari R, Chakraborty S, Dhama K. 2013. Survival mechanisms of Mycobacterium avium subspecies paratuberculosis within host species and in the environment-A review. Nat. Sci. 5: 710-723. 32. Sohal JS, Singh SV, Tyagi P, Subhodh S, Singh PK, Singh AV, Narayanasamyc K, Sheoran N, Sandhu KS. 2008. Immunology of mycobacterial infections: with special reference to Mycobacterium avium subspecies paratuberculosis. Immunobiology. 213: 585-598. 33. Sommer S, Pudrith CB, Colvin CJ, Coussens PM. 2009. Mycobacterium avium subspecies paratuberculosis suppresses expression of IL-12p40 and iNOS genes induced by signalling through CD40 in bovine monocyte-derived macrophages. Vet. Immunol. Immunopathol. 128: 44-52. 34. Souza CD, Evanson OA Weiss DJ. 2006. Mitogen activated protein kinase p38 pathway is an important component of the anti-inﬂammatory response in Mycobacterium avium subsp. paratuberculosis-infected bovine monocytes. Microb. Pathog. 41: 59-66. 35. Tufariello JM, Chapman JR, Kerantzas CA, Wong K-W, Vilchèze C, Jones CM, Cole LE, Tinaztepe E, Thompson V, Fenyö D, Niederweis M, Ueberheide B, Philips JA, Jacobs WR Jr. 2016. Separable roles for Mycobacterium tuberculosis ESX-3 effectors in iron acquisition and virulence. Proc. Natl. Acad. Sci. USA. 113: E348-E357. 36. Ünübol Aypak A, Uysal H. 2010. Glikoproteinlerin yapısı ve fonksiyonları. F. Ü. Sağ. Bil. Vet. Derg. 24: 107-114. 37. Vergne I, Chua J, Lee HH, Lucas M, Belisle J, Deretic V. 2005. Mechanism of phagolysosome biogenesis block by viable Mycobacterium tuberculosis. Proc. Natl. Acad. Sci. USA. 102: 4033-4038. 38. Walburger A, Koul A, Ferrari G, Nguyen L, Prescianotto-Baschong C, Huygen K, Klebl B, Thompson C, Bacher G, Pieters J. 2004. Protein kinase G from pathogenic mycobacteria promotes survival within macrophages. Science. 304: 1800-1804. 39. Weiss DJ, Souza CD. 2008. Modulation of mononuclear phagocyte function by Mycobacterium avium subsp. paratuberculosis. Vet. Pathol. 45: 829-841. 40. Whittington RJ, Begg DJ, de Silva K, Plain KM, Purdie AC. 2012. Comparative immunological and microbiological aspects of paratuberculosis as a model mycobacterial infection. Vet. Immunol. Immunopathol. 148: 29-47. 41. Woo SR, Czuprynski CJ. 2008. Tactics of Mycobacterium avium subsp. paratuberculosis for intracellular survival in mononuclear phagocytes. J. Vet. Sci. 9: 1-8. 42. Woo SR, Heintz JA, Albrecht R, Barletta RG, Czuprynski CJ. 2007. Life and death in bovine monocytes: the fate of Mycobacterium avium subsp. paratuberculosis. Microb. Pathog. 43: 106-113. 43. Yardımcı H. 2006. Mycobacterium infeksiyonları. Aydın N, Paracıkoğlu J, ed. Veteriner Mikrobiyoloji, Ankara: İlke-Emek Yayınları, s. 87-107. 44. Yates RM, Russell DG. 2005. Phagosome maturation proceeds independently of stimulation of toll-like receptors 2 and 4. Immunity. 23: 409-417.